Somewhere in the rather dreary spheres of Mumbai's film industry, stuck between star-cult, superstition and the daily gridlock, Camera Threat explores the ambivalent, and sometimes paranoid relationship that this film city has with the moving image itself. Seated on a casting couch, two actors are getting trapped in their impromptu conversations on the unwanted side effects of a world that no longer bothers to tell facts from fiction. An expanded multi-genre film within the constraints of the so-called Masala Formula popularly known from Indian cinema. Ever since I had borrowed my very first Hindi movie, coming on a worn out VHS tape, which had no subtitles and was full of drop-outs and sound glitches, I got fascinated by the inconsistency in space, time and genre in popular Indian cinema. This narrative form, also known as Masala Formula, prioritizes the spectacular over logic, by stringing multiple film genres together into one storyline. Love- or family dramas get interrupted by action sequences, romantic songs, comic sub-plots, melodrama and dance routines. I always wanted to experiment with this crude, but exciting film structure. In the end it took fifteen years until I realized, that during my travels to Mumbai so many materials, found footage and ideas had piled up, enough to become the source for a Masala experiment, where all those heterogeneous fragments of film and video would come together on screen. 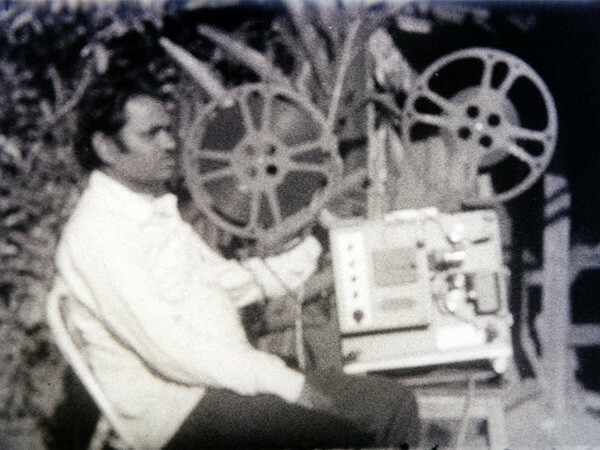 During my previous film projects, I had worked on 16 and 35mm celluloid with local technicians and film labs in Mumbai. Now, for this new project, I decided to work with them again. But soon after we had started, I saw most of them running out of business, closing their doors forever, or even worse - still sitting in their studios day by day waiting for the phone to ring. With some of them, I was literally their last customer. So the worldwide digitization of the film industry had finally reached Mumbai and therefore, I made it part of my concept: Since I was already combining all sorts of analogue and digital formats, I expanded the concept of my Masala experiment: in the screening, analogue and digital images would be projected side by side, from a 35mm and a digital projector, and finally the two light cones would merge on screen.